It's the end of a long day and you're exhausted. All you want to do is crawl into bed and sleep, so you rush through your evening routine and crawl under the covers. And just as you get comfortable and start to relax ... your legs become overwhelmed with the urge to move. It's an uncomfortable jittery feeling that only stops when you physically move your legs. You try to ignore it so you can fall asleep, but each time you start to drift off the sensation in your legs intensifies and wakes you back up. These are the symptoms of Restless Leg Syndrome, and it can quickly turn into an endless cycle of sleeplessness. Having dealt with it for a couple years now I have a some tricks for coping I want to share, including why taking magnesium for restless legs is the best thing I've done. 1 What is Restless Leg Syndrome? 6 Do You Have Restless Legs? The content provided here is for informational purposes only and should not be used in place of the advice of a healthcare professional. 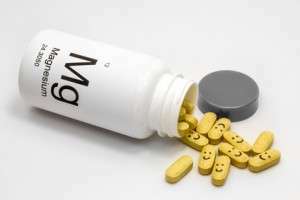 While my wife and I have been taking magnesium supplements every day for years, I can't say how they might affect you. 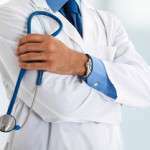 Always consult a doctor if you have health concerns: don't try to self-diagnose! Restless Leg Syndrome is one of those odd medical conditions that isn't always taken seriously. I mean, how do you explain to someone that when you try to sleep at night your legs feel 'jumpy' or 'crawly'? It sounds like something a TV hypochondriac would have. I suffer from RLS though, so I can tell you it is very real. Also called Willis-Ekbom disease, the primary symptom is an uncomfortable and almost irresistible urge to move some part of your body. Most often it occurs in the legs, though it can affect the arms and other parts of your body. It usually starts when you are in a relaxed state, such as sitting to watch TV or lying down trying to sleep (or it can drive you nuts for all four hours of an airplane ride as I recently found out). It's a really odd sensation that is difficult to describe. It's not exactly painful, but it is definitely not pleasant. It's as if your muscles have tensed up for action but have nothing to do, and the only way to get them to behave is to move them. But it's like scratching a bug bite: it itches so you scratch it and it feels better ... and then the itch comes right back. Your legs feel restless so you move them and they feel better ... but then they just feel restless again. Rinse and repeat ... all night long. The severity of RLS varies greatly from person to person though. One person may experience it a couple nights a year while another has it every single night. Some studies have shown links between RLS and both dopamine and iron but the exact cause is unknown. 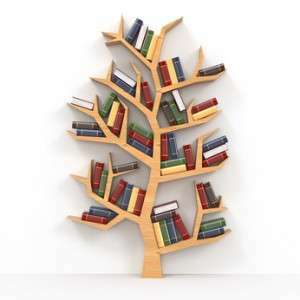 Genetics and heredity may also have something to do with it. Drinking a lot of soda. For some reason if I drink it every day for a couple days in a row then I'll start having RLS every night until I stop. Even weirder is that the 'Throwback' versions of Pepsi and Mt. Dew don't seem to impact me as much as sodas made with high-fructose corn syrup. I have no idea why though, I just know that I need to limit how much soda I drink or I pay the price. Similar to soda, eating ice cream in the evening usually guarantees my legs will act up. I love my ice cream, but I love sleeping more, so when I want ice cream I make sure I have it no later than mid-afternoon. More recently I realized that there is a correlation between how often I take antihistamines for my allergies and how often I have RLS. Claritin (Loratadine) seems to have a moderate impact if I take it a couple days in a row, while I've found that Zyrtec (Cetirizine) affects me even more. My RLS also gets worse if I don't keep a regular sleep schedule. Sometimes my job requires me to work during the night, and if I keep shifting back and forth between working days and nights then my legs definitely start to get agitated. I've also found that changing time zones and being jet lagged can trigger RLS. Lastly, if I don't get exercise on a regular basis then my symptoms will get worse. Simply using my elliptical a couple times a week seems to reduce how often my RLS acts up. Over time I've found that if I can avoid these triggers that I don't have Restless Leg Syndrome that often. That said, the single best thing I've found that helps me prevent RLS is magnesium supplements. Along with all the other things that magnesium has helped me with, taking it every night before I go to bed has reduced the frequency and severity of my Restless Leg symptoms. I tried both magnesium oxide and magnesium citrate for my restless legs but I found that malate helped the most. Not only do I sleep better as a result but my legs seem less restless during the day too. In particular the malic acid in magnesium malate seems to have made all my muscles more relaxed. Now instead of RLS being a nightly occurrence I get it at most 3-4 times a month, and I can almost always link it to one of the triggers I listed above. It's worth looking into magnesium for restless legs syndrome! However, on rare occasions my RLS acts up even when I've avoided all my triggers and have taken my magnesium. I have a couple different leg exercises that really tire my calf muscles. I basically do everything I can to wear my legs out to the point of muscle fatigue right before I crawl into bed. If I can tell ahead of time that my legs are going to be problematic then I will take some Ibuprofen. Provided I give it an hour to start working, taking two Advil seems to take enough of the 'edge' off my Restless Leg Syndrome to let me fall asleep. Typically if I do both of these things then I will be able to fall asleep, and usually if I can fall asleep then I have a good chance of making it through the night without issues. Just like any other medical condition it's a good idea to see a doctor if you have RLS. Not only are there prescription medications that can help relieve your symptoms (I do have Ropinerole on hand if I need it), your doctor can do a blood test to see if you have low levels of most vitamins and minerals. This is especially important because Restless Leg Syndrome can also be caused by an iron deficiency! Be careful though: having high levels of iron in your blood can cause all sorts of problems. So if you think you have Restless Leg Syndrome, before taking an iron supplement it is very important to see your doctor and ask them to check your vitamin and mineral levels. Do You Have Restless Legs? How bad are your symptoms? Has magnesium, iron, or some other vitamin helped? Do you have any tips or tricks for dealing with RLS? As always, you are strongly encouraged to consult with your physician or other qualified medical professional to help determine your own optimal level of magnesium, and to see whether magnesium supplementation is right for you. I have had RLS on and off for about 6 months now. I am diabetic so I suspect that nerve damage is also involved. I was also, at that time, using an allergy medication with Loratadine. Just for interest, I was on a calcium channel blocker with some other meds for BP. Since I read that it increases mortality rate 2.5 times, I persuaded my Dr to stop it. Since I stopped it, I have had bad headaches all day, every day for 2 months now (!). I checked my BP at home and it remained “normal” for me. What on earth was the CCB doing to my brain? It certainly was doing nothing for my BP! Anyway I have been taking a magnesium (citrate) supplement for years now. Perhaps the dosage is too low (400mg) to help the RLS but it did not prevent RLS. A friend told me about a magnesium chloride solution for spraying on the skin. So I thought, why not magnesium sulphate? (epsom salts). Indeed. I read to take a quarter of a teaspoon twice a day for a few days. So when I felt the RLS starting, i would drink this on an empty stomach and within 20 min to half an hour, the RLS was gone. Guess what? My headaches disappereared immediately also!! I have also tried dissolving half a teaspoon of epsom salts in a quarter cup of tepid water and spraying it gently onto the “crawling” skin during RLS. You have to let it dry with nothing touching the leg skin. I have found that this helps a lot. It may leave a powder on your skin afterwards but just gently wipe it off with a wet face cloth. Magnesium definitely seems to be involved with RLS. As we know, magnesium is heavily involved with nerve function. (I am also wondering to what extent glyphosate (Round up a la Monsanto), which is ubiquitous in our food, is involved. Even our cattle are now ged maize (GMO with glyphosate). It is everywhere. They even spray wheat crops with glyphosate before harvesting so it is on our bread & flour products. As far as I am aware, glyphosate is a neurotoxin. The first time I ever got RLS was while in hospital with a small bowel obstruction. They gave me dye to swallow for the scan meant to be taken later but within two hours my legs were literally bouncing around almost out of control. The strange thing was I could stop it by concentrating deeply on the legs, although with an “awareness” like that of bugs constantly crawling inside my legs. The very moment I stopped this concentration my legs started bouncing around again. A doctor gave me diazepam which helped enough to get me some sleep. The scan never needed to be taken in the end! From then on I’d get RLS on and off in varying degrees of discomfort. At one time three years ago it got so bad my doctor took blood tests that revealed serious anaemia so had an iron infusion which fixed it well. Last month I had the same happen again, this time needing two iron infusions! The nurse suggested I also try magnesium for the RLS which has led me here. I will certainly give it a try as even after the iron infusions I do still have mild RLS happening. Wow. To have my entire life described by each and every one of you is relieving! I’ve had RLS as long as I can remember. My mother has it and her mother had it. I didn’t even know it was a “real” thing until I met my boyfriend and found out that he has it too. What causes a flair up for me? The list goes on and on but the only thing I’ve found that helps is tonic water. Something to do with the quinine in it. I drink a glass in the evening before I go to bed to avoid the bedtime crawls and I’ll drink a glass if I find myself having an episode to try to elliviate the effectsof the episode. However, I’ve been noticing lately that it’s not as effective as it used to be thanks to a recent antihistamine change. I am trying the magnesium route starting this eveningand hoping to see improvement soon, hopefully before I crawl out of my skin! One teaspoon of magnesium citrate liquid held for 90 seconds under the tongue before bed—this remedy is magic for me. Works immediately. I developed it myself by trying lots of things and haven’t read it anywhere else, so please pass it on if it works for you. The idea is that the mag enters the bloodstream directly. Grocery stores and pharmacies sell mag citrate liquid to cleanse the bowel before a colonoscopy (with this slight amount there is no bowel effect). Another remedy that works for me but takes longer is to put magnesium oil on about 1/3 of my skin area, including legs, leave on 15-20 minutes, then rinse off. If your skin feels too tingly in spots, wipe off the oil there with a wet washcloth. Mag oil is drying so avoid soles of the feet and use rubber gloves. Lotion afterward may help dryness. Keep it off fabrics; mag oil sometimes bleaches them. I also take 800-1200 mg a day of mag aspartate, and I noticed when I switched recently to mag malate and mag citrate, the RLS grew. My RLS—which is moderate—developed when I had anemia. Women in particular should have their ferritin level checked. If it’s under about 70, seriously consider supplementing iron to relieve RLS and generally improve health, hair, and energy. A trigger I’ve noticed besides anemia is mold in the air on damp days. I have had moderate RLS since my 2nd pregnancy in 93’. It only happens for me at night, and for about 7 years, believe it or not, soap has been such a relief! It doesn’t matter what brand or type (bar or liquid). I slather it over my knees and upper calves and in about 5 mins I notice relief. However, recently I have begun to intermittently fast and then eat only low carb and I have not had a sleepless night in over a month!!!! I also suffer from severe nerve damage in my feet due to herniated discs and that too has been remarkably better since fasting/Low carb dieting. I too can attest to Magnesium citrate/malate *300* 2 hours before bed in the past, with great success. I am taking all your suggestions and making a journal to share with my online RLS support group. Thank all of you for sharing your stories. It makes me feel stronger knowing this CAN be controlled. I was getting the RLS quite frequently a while back as well as headaches. I had also not been taking my magnesium supplements, which I take to cut down on headaches from dehydration. My go to for the RLS had been zinc at night when it acts up, it always works. Hearing others say they use calcium, magnesium combo and having read zinc before, leads me to think this might be a condition associated with dehydration. Maybe those of you in a regular climate would be able to tell if it only happens in the summer of after heavy exercising. Where I live is always hot & dry. I also have chronic RLS. It seems to get worse the older I get. I have had RLS for as long as I can remember. I am now 61 and spend most of me time standing. I watch TV standing and rocking back and forth. I do a lot of stretching and laying on the floor. I have spent many nights leaving the comfort of my bed to sleep on the floor. I take 2 or 3 hot baths a night to try and relive the pain and tingling. I take Mirapex to help. I take a 1/2 pill during the day and a whole one at night. All my family and friends are use to me standing and shaking when I am sitting. I have tried Riquip and that didn’t work long. I also take a lot of aspirin. I have taken 4 aspirin every 3 to 4 hours to help. Pain meds do not help at all. Driving for long distance and riding is horrible. I try and remember to take Mirapex before a trip. Going to the movies is a joke. I spend my time standing in the exit ale to watch the movie. I will sure try the Magnesium. Try B12. I had good luck with that also. Try zinc, that is what I use. I also take muscle relaxers, I use them for other things, but it also helps with this. Donna, I just read your post from last year. I also end up standing and rocking back and forth sometimes as well as sleeping on the floor to relieve symptoms. It is nice to know I’m not the only one who experiences this. I am doing research online to find some options to help combat the symptoms of RLS. Thank you for your post. I’ve had RLS as long as I can remember. It used to be difficult just to ride the bus to and from work – yet alone get a good night’s sleep. I’ve been taking 1000 mg of magnesium before bed for years and it typically keeps the symptoms at bay. Not all magnesium works equally though and for me I’ve found a blend of magnesium oxide, citrate, malate is the best (Nature’s Life brand). Stress and caffeine make the RLS worse for me and no amount of exercise seems to make a difference. There’s been times in my life with a high pressure job or following a surgery (my doctor said the anesthesia affects the same neurological center thought to be responsible for RLS) that even with 1500 mg of magnesium a day it was unbearable. I found that epsom salt baths helped, magnesium oil, aspirin and pacing through the house at night. It’s been pretty much under control for several years now and I’m hopeful that it continues to be. I’ve. had RLS bad for many years, sleepless night for many years, i,take Mirapex right worked for a good while last couple weeks it’s not I surived 1 great year, I’m going to try Magnesium I just took a 400mg, how much is to much?? Wow!It’s terrible how many of us there are. For me it started when I was pregnant about 20 years ago..there was a time when I was up every night with it! It either wouldn’t let me sleep or would wake me up.. I too went on Mirapex and it worked but the side effects were horrible! After 2 years I found out about Magnesium..actually magnesium, B-complex,and vitamin E. It had helped greatly! Some triggers for me to avoid are: alcohol,sinus medicine too late in the day, caffeine..over tired. Does the sinus medication contain sudafed? Just wonder, it is a stimulant. I started having RLS after taking narcotics the second time for a lengthy period. I had a knee replacement and was on painkillers for quite a while, not over doing it I don’t like taking them. Bone pain is excruciating, then one day I was fine and I stopped taking them. I had the jimmy legs like you wouldn’t believe. Then I remembered the nurse saying something about “tapering off’ the pain killers. So I took them in tiny decreasing increments for a couple days more. No RLS yet, then I broke my ankle, shattered is more like it and required surgery to pin it all back together. This break was the kind they used to keep you in the hospital with your leg elevated in traction. When I went home I had to I had to keep my leg elevated. When I would stand ( which I avoided) only doing when I had to go to the bathroom, I would quite literally scream it was so painful. Needless to say, I was on pain meds for a couple months, it was so painful. It was after that that the RLS started and I just wonder if there was any correlation or coincidence. It could also be that I am older and it is just a dehydration thing, which is getting worse for me as I get older. I may associate it with the medication, because the symptoms are just like the drug withdrawals. My RLS also started after two surgeries on my shoulder in 2012. I was on pain medication (Narcotic) and the doctor took me off with no step down. I had never had any RLS symptoms before that and now its nightly, horrible too. I would rather have pain than this, as pain can be controlled. 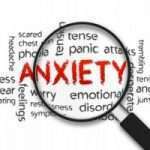 I also have anxiety issues that began about that time and from a lot of research, it seems that RLS and anxiety can be from a lack of dopamine, this can be caused by the prescription pain meds as well as other issues. Now, I just need a cure. . I too started having Restless legs hell right after a surgery. Ten years later and nothing has worked yet. I wondered if you found anything yet that works since your R.L. started after surgery too. Drives us all Crazy . Thank You So Much for Your Help .AJ. 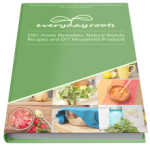 Hi, Audrey – I, too, found magnesium to be incredibly helpful, as in NO RLS! However: I developed increasingly severe hip and lower body joint pain, to the point where I could not move without horrible pain. It also caused some degree of diarrhea, which I deal with anyway, but I was able to handle that. Have you noticed any joint pain with the magnesium? (I take/took magnesium glycinate). Audrey Johnson – what type of magnesium do you take? malate? glycinate? I have been taking a similar supplement Mag/Calc/D and it has pretty much completely eliminated by RLS that I’ve suffered with nearly highly over 2 decades or more. Cutting out certain antihistamines also helped (Aerius being the largest trigger it seemed). Try zinc also. That is what I use. I also take muscle relaxers when it is really bad and keeps me up. RSL for 9+ years. One solution I have found, its a family thing, is a medication that most doctors do not think of. Carbidopa/Levodopa (25mg/100mg) is what was prescribed to an uncle about 12 years ago. When my RLS began, I started on it and find that as long as I take it on a regular schedule, it is effective most of the time. Right now, I’m prescribed 3 pills at bedtime, but I do have to start around 3pm. I’ll try to take a 1/2 pill then, another 1/2 at about 8pm and then the final 2 when I wake up during the night. Right now I’ve gotten to the point where that is no longer enough so I will try the Magnesium. Carbidopa/Levodopa is primarily used to treat Parkinsons, which is why most doctors don’t consider this one. I do have some fatigue from time to time, but I’ve had no adverse side effects like mentioned with Requip. Because my symptoms have become severe, my current medication is not effective anymore. I’ve enjoyed reading all this. Like many in these stories I’ve suffered from bad RLS since my earliest memories…. almost nightly apart from a few short unexplained remissions. I’m surprised no one has mentioned Executive B, a complex vitamn B supplement. I discovered this by accident at about age 53. Over the years I’d tried so many things, magnesium, iron, spent so much money on so many ‘cures’ with no success (except a parkinsons medication which worked but the side effects ended up out weighing the cure) tried ‘cold feet’, hotties (worked the best for me but not very reliable) anyway we had some big earthquakes several years ago in NZ in the town where I live and i took Exec B as a stress helper and Voila to my surprise my ghastly RLS Almost gone and stayed Almost gone! Sometimes it comes back and I don’t know why so I take a bit extra and it Almost always kicks it in to touch. Lot of Almosts! I’ve had RLS for since I was little. I remember long car rides in the back seat where I thought I was going crazy because my legs felt like something was crawling under my skin unless I moved them. Luckily for me, it didn’t get truly bad (only happened on long plane rides and occasionally at night) until a few years ago–but when it got bad, it was terrible. An overnight flight to Rome became a nightmare because I was trapped in the window seat and couldn’t move and my husband couldn’t understand what my problem was and why I couldn’t stop figiting. It was torture. The first solution I found was potassium—if I ate like 5 bananas a day, or 24+ oz of coconut water, it seemed to control it to some degree. But 1) I’m not a fan of bananas and 2) the coconut water gets expensive FAST. And, since it didn’t work 100%, I got pretty frustrated. Then, I stumbled across a reference to magnesium as a solution somewhere online, and picked up some Magnesium Citrate from Amazon. Like magic, as long as I took my magnesium before bed or before I got on a flight, it worked. And so, for the past 3 years, I’ve been taking 200mg of it any time I’m in a situation where my RLS has flared up before. It’s been a lifesaver. I also have had RLS for as long as I can remember. Over 40+ years. I took Requip but caused me to fall asleep driving twice. I am on Mirapex now but it seems to have lost it’s life. I have spent a lot of miserable nights, sometimes not getting to bed until 4:00 in the morning. A friend told me about magnesium. I am going to try that. I need something. It just ruins my day. I have pretty horrendous rls, it is severe almost every night and during any prolonged sitting. When it is at its worst I find doing a couple hundred squats will tire the muscles out enough that I can rest long enough for sleep and am obsessive about using a studded foam roller on my thighs and calves (I basically think if it as I’m tenderizing my muscles) I got some samples of magnesium citrate powder yesterday and have had it to drink both nights, I feel like they are feeling a bit less restless so I am very cautiously optimistic this could actually help them, to go to bed and not immediately feel that sensation on a regular basis is such an amazing though! I suffer with RLS also, as do my grandmother and mom. It is such a hard thing to describe to people. Long car rides and airplanes are the worst… I feel terrible for anyone sitting next to me. I try not to fidget too much but it’s dang near impossible. The legs need to move. I too am a believer of the magnesium. I’ve just recently started taking it. I used to suffer nearly every night and now it’s maybe 4 or 5 times a month. I wish I would have found out about it sooner! I do not have any other tips or tricks to offer, except and Advil before bed. I have suffered with RLS for many years.My mum also suffered with it as has my brother.I’m just beginning to take magnesium citrate hoping it will help.I find it gets worse if I try to stay awake after my usual bedtime .What has helped me in the past but not recently as it has got much worse as I’ve aged is to tap my feet quickly and with a bit of force when I’m in bed.I seemed to fall asleep then.My poor partner has been shaken awake because of it.Heres hoping the magnesium citrate will help or I might be sent to the spare room by him. I have had rls for 15 years – started when pregnant. The only way I can get to sleep is doing a yoga shoulder stand – legs in the air (my husband has got used to me getting out of bed and huffing and puffing myself up into the position! It never fails but is a pain in the bum. I have just started taking magnesium and hope that the night gymnastics will come to an end. I don’t eat dairy, have a balanced diet, exercise regularly and drink alcohol – no idea why I have rls. Hi all. I’m very grateful for finding this site and for all your helpful suggestions. Last night I discovered something that greatly relieved my RLS. I jumped repeatedly up and down off the floor, like I was jump roping, not too high, only about an inch. I have taken Ropinirole (3 mg) for several years now, and it seems to help. I cut the pill in half and take one half about 2 hours before bedtime and the other half about 2.5 hours before bedtime. If I take it all at once, I get too sleepy too soon. Magnesium also seems to help. Sugar and salt make my RLS much worse, and salt also raises my blood pressure. I use potassium chloride instead of regular table salt (sodium chloride) to season food and try to keep my sodium intake to under 500 mg per day. That is way lower than the standard daily guidelines, but it works for me. The bad part is that you have to become a fanatical label reader in the supermarket, as nearly all prepared foods have way too much sodium. I appreciate the posts warning against benedryl and loratadine, which I have taken recently because I had some bad spider bites. My RLS got worse in the past two weeks, and I suspect it was the benedryl and loratadine. I love this blog and the useful tips and triggers of people’s RLS. Thanks for putting this together. I am 48 years old. My RLS started in my mid-30’s. The triggers and symptoms that I have notices over the years are: Antihistamines (Theraflu was what tipped me off to this and recently Claritin-D (too bad because it works well) has Loratadine), Aspartame (just about anything that’s sugar-free)(Crystal Lite is what tipped me off to this), anytime I have Bowel issues symptoms get worse (I use to have chronic prostitis, more recently problems having a movement will set it off). Things that I have tried that don’t seem to make a difference one way or the other are altering my intake of caffeine or alcohol. At first the sensation would be in the same location of my leg (lower right calf) then over months it migrated up the leg until eventually moved to the left leg thigh and down and back up and over to the right leg etc. This process was a slow migration and over the years sped up. Now the sensations are random and can be in either leg upper or lower. Also at first, if I just woke up and did something mindless like play a video game for a few minutes then it would go away for the night. Now if I have symptoms, nothing so easy makes it go away. I was on Requip for many years, but seeing how it never did help me I am not willing to deal with side-effects with no benefit of taking it. I will definitely try the Magnesium and look into the non-organic dairy ideas. I have had RLS since I was about 12 yrs. old. I will be 70 in January. The first years it was intermittent and just annoying. It has gotten progressively worse with the years. For the last number of years I have been taking Ropinerole (Requip) in increasing amounts. I do not sleep at all if I try to go without the meds. I have it with me at ALL times. Even with it I sometimes “miss” the timing and experience the frustration, anxiety and tears as I attempt to tire my calves until the meds. kick in. I am absolutely no company for my husband in the evenings because I need to take the Requip no later than 6:30pm with light dosages beginning as early as 3:00pm on some days. I am asleep on the couch typically by 8:00. I hate taking this med as it has side effects that I do not like but are not dangerous to my health. 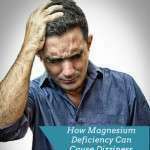 I am reading about Magnesium Deficiency and will most likely give it a try. How long would you suggest I try it before stopping the Requip. the thought about being up all night terrifies me! Maybe you can ask your doctor to test your magnesium levels (hopefully with an RBC Magnesium test and not a Serum Magnesium test)? Based on that conversation maybe you can decide together if you can reduce or eliminate the Requip? Hang in there – I hope things get better. Please let us know how it goes! What were the exercises Andrew (wrote article) did for his legs before bed? 1) Using one hand to hold on to something stable, I would balance on just one leg and raise the heel of my foot off the floor to raise my body without using my knee. I would slowly raise my whole body up and down multiple times using just my ankle, leaving the ball of my one foot on the floor and moving just the heel up and down. 2) Again I would balance on one leg, this time moving the ball and toes of the foot *not* on the floor up towards me as far as it would go and then releasing, keeping at it until I felt the ‘burn’ of a tired muscle. The first one seems to tire the back of my calf and the second one seems to tire the front. I did it multiple times for both legs until both the front and the back of each leg were really tired and a bit sore. I haven’t done it in a while but it really made a difference at the time. I have noticed that I get that jittery feeling in my legs/feet when I have milk or milk products that aren’t organic. I started noticing it when I was at my sister’s house, but it stopped happening at my own house. The biggest difference is that she buys the large gallon mass produced milk and I buy organic milk. It would always happen when I had her generic ice cream. I don’t drink a lot of cow milk anymore or eat ice cream but sometimes still get the feeling and then realize I had a lot of cheese products that day. I don’t know if it has to do with medications or whatever cows may be treated with. Thanks for your post, I will keep an eye out for other triggers you listed in your post. Interesting! I haven’t tried organic dairy products but I think that will be the next thing I test (I’m always running little tests to see what makes things worse vs what makes them better). I love my ice cream, especially in the summer, so I think I’ll see what I can find that’s organic during my next shopping trip. I too, have RLS for most of my life. I’ve researched and tried everything but going to the doctor. The last few years I’ve started paying attention to details before the onset begins. One factor I’ve noticed is consuming starches/carbohydrates while trying to relax in the evenings or before bedtime. It’s pretty consistent though I have never read or heard anyone else claiming this. I am now trying to up my magnesium intake by supplements. I am also spreading magnesium oil on my feet in the morning and before bedtime and find relief! Hubby says its just a placebo but if it is, I’ll take it!!! I’ve found the same thing with carbs – if I have a lot of sugar throughout the day I am more likely to have RLS symptoms before bed. Also, more recently I’ve found that simply wearing looser socks during the day helps prevent my RLS at night. I have no idea why, but if I have anything on my ankle or calves during the day that is even remotely tight or constricting then at night my legs will tingle and the RLS will begin. RLS can be so maddening! I hope you continue to find relief – please stop back and let us know how it goes! I have rls like u descrbed as well i clench my teeth. I have started to have sore muscles in my legs and abdomen as a result. I also get a lot of head and neck pain from the teeth clenching. I started taking mag citrate yesterday in powder form as was recommemded by health store. Ill post back to let u know how its working. Thanks for sharing your story Steve. I also clench my teeth and I do find that the magnesium helps with that as well (though some of it just comes down to how I tend to deal poorly with stress). Please let us know how it goes with the magnesium – I hope it helps! 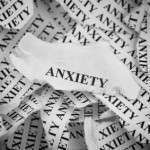 I am a chronic RLS sufferer since the last 12 years or so, and have become a recluse because of it. I have been on the Parkinsons medication of Pexola starting with one tablet at night, but now have to have 2 to 3 tablets a day to control the urges. Sometimes if I forget to take a tablet I go into a crazy need to stamp around and it’s impossible to control and I am in tears until the tablets kick in. I am 74 now and am desperate to find something to help, and having read the above comments must try to take the magnesium citrate. I do take Calmag once a day, but is this sufficient? Does the iron tablet really help? What strength is safe? I am a pensioner now and have no medical aid, and the govt. hospital system doesn’t recognize RLS so I have to buy my Pexola at the pharmacy. Disclaimer: The content provided on this site is for informational and educational purposes only and should not be used as a substitute for the advice of a healthcare professional. You should not use this information as self-diagnosis or for treating a health problem or disease. Information and statements regarding dietary supplements have not been evaluated by the Food and Drug Administration and are not intended to diagnose, treat, cure, or prevent any disease or health condition. If you are experiencing any health problem, always consult a doctor before attempting any treatment on your own. 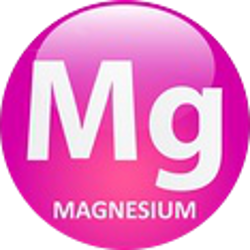 My Magnesium Deficiency is a participant in the Amazon Services LLC Associates Program, an affiliate advertising program designed to provide a means for websites to earn commissions by advertising and linking to products on Amazon.com at no additional cost to you. Amazon and the Amazon logo are trademarks of Amazon.com, Inc. or its affiliates.